There are a lot of rice cookers on the market but not many have the possibilities that the Zojirushi NS-LACK05XT rice cooker and warmer offers. This top rated cooker has a three cup capacity (that’s up to six cups of cooked rice! ), and its 9-1/8 by 11-7/8 by 7-1/2 inch meaning that it will take up little space on your countertop. The modern design is a perfect match for the modern kitchen. The shiny black and stainless steel is not only attractive but it’s easy to clean as well. A retractable cord makes for easy transportation and will keep your counter clear of extra cords. 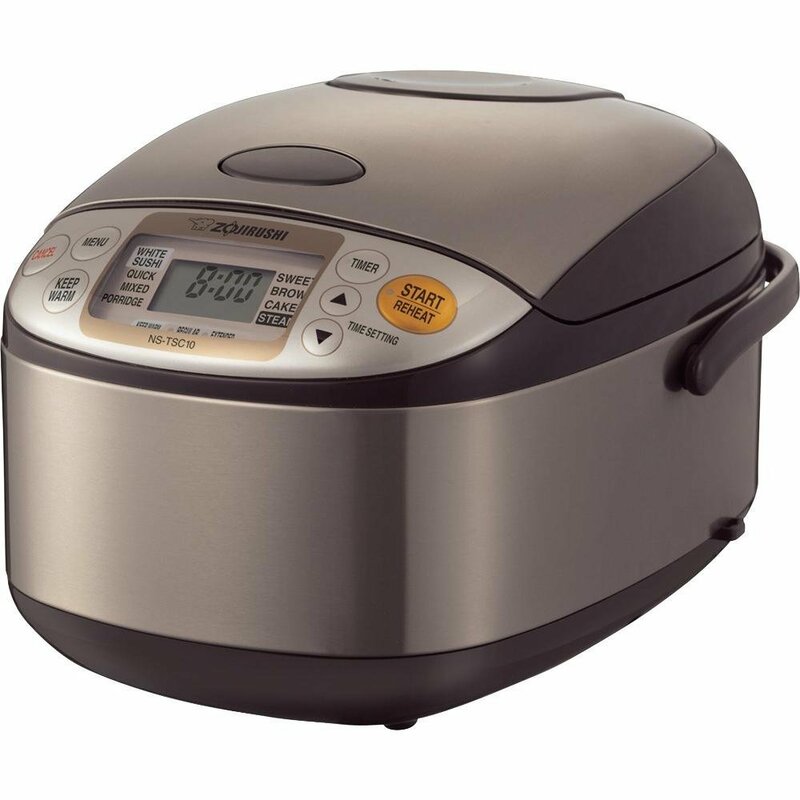 This model is equipped with Fuzzy Logic technology, has an easy to read LCD control panel with a clock, timer, and options for cooking white rice, mixed rice, sushi, porridge, brown rice, or quick cooking rice. The spherical inner cooking pan and heating system makes for even cooking, and the detachable inner lid makes clean up simple. The Zojirushi is an excellent choice for singles, couples, or small families. The money spent on this one is well worth it, and with frequent use it will end up paying for itself! Not only is it a great option for yourself, but a great gift that will bring years of joy to the recipient as well.